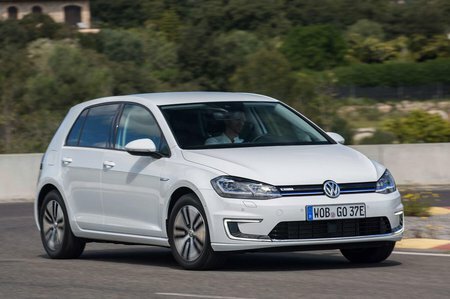 Volkswagen e-Golf Review 2019 | What Car? Question: what’s stopping you buying an electric car? 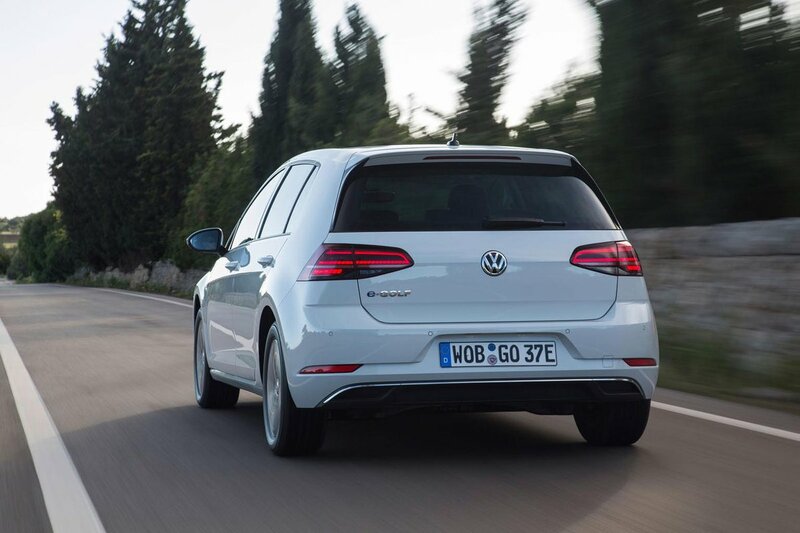 Most people have a round trip to work of less than 100 miles, and the Volkswagen e-Golf has a battery range of 186 miles. Okay, even VW admits that'll drop to around 125 miles in the real world, but still, that’s more than enough charge to keep you moving on the daily commute. You can charge it through a normal household three-pin plug, which takes 13 hours for a full charge. Alternatively, you can have a dedicated charging installed in your home, which takes only four hours; these are becoming steadily more common in public spaces such as supermarket car parks as well. If you have access to the latest quick chargers that are popping up in service stations around the country, you can even get a full top-up in just 45 minutes while you’re having a pit stop for coffee. So if you fancy an electric car, should you go for an e-Golf, or rivals such as the BMW i3 or Nissan Leaf? Read on and we’ll give you the answer.